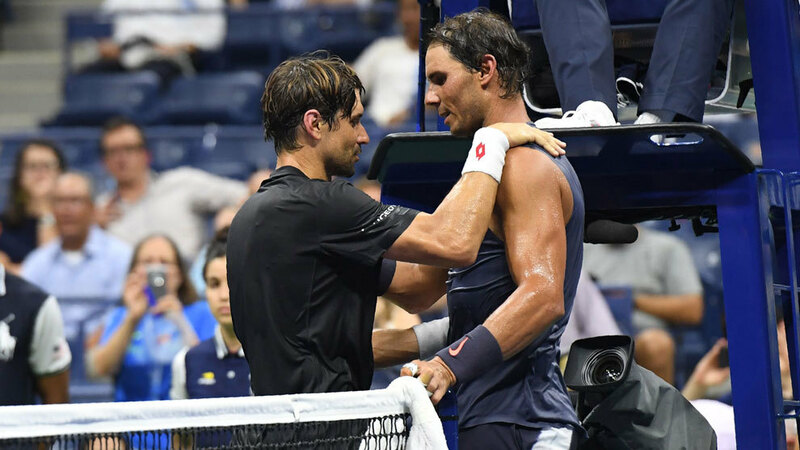 David Ferrer concluded his illustrious career last night at the 2018 US Open, retiring against Rafael Nadal. During his press conference, he reflected back on his career and his time in Flushing Meadows. 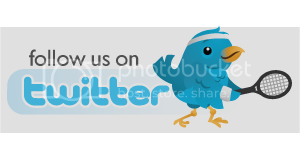 Juan Martin Del Potro makes it five straight wins over David Ferrer, while Philipp Kohlschreiber, Feliciano Lopez and Milos Raonic also reach the fourth round. Watch this 'vintage' David Ferrer hot shot against Juan Martin del Potro in Acapulco. 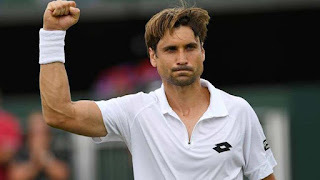 David Ferrer discusses gaining revenge over Andrey Rublev in Acapulco. Watch highlights from day one in Acapulco as four-time champion David Ferrer and Ryan Harrison of the U.S. advance. David Ferrer somehow finds this angle to pass Andrey Rublev during their first-round match on Monday at the Abierto Mexicano Telcel presentado por HSBC. Highlights of Andrey Rublev's victory against David Ferrer in round one of the Australian Open 2018. David Ferrer beat Wu Yibing 7-6 6-4 to advance to the second round at the 2018 Auckland Classic. Ferrer battled it out from the baseline against his 18-year-old opponent in a first set that lasted 75 minutes. Wu held a set point in the tiebreak at 6-4 but could not convert and a double fault handed the first set to Ferrer, who is now ranked 38th. 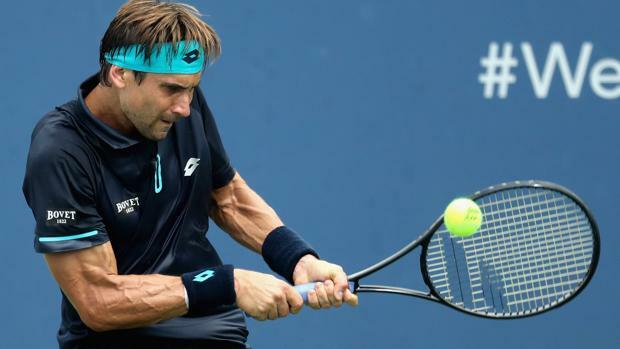 Watch Hot Shot as David Ferrer hustles to return a perfectly placed drop shot from Nick Kyrgios in Saturday's semi-final showdown in Cincinnati. 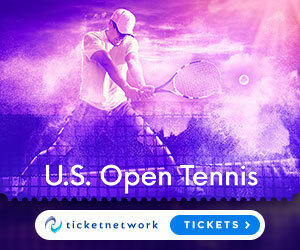 Kyrgios defeated Spain's David Ferrer 7-6, 7-6 at the ATP Cincinnati Masters to book a Sunday finals date with 11th-ranked Bulgarian Grigor Dimitrov in a matchup of Masters finals debutantes. On a television camera lens, Kyrgios wrote "74 + 89 R.I.P." in tribute to grandmother Julianah Foster, who died in 2014 at 74, and grandfather Christos Kyrgios, who died in April. 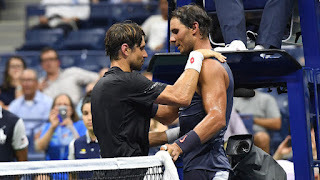 David Ferrer discusses his victory over top-seed Dominic Thiem and his return to an ATP World Tour Masters 1000 semi-final for the first time in two years. 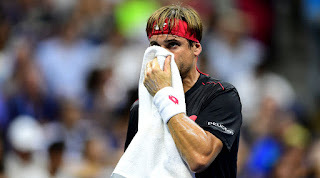 David Ferrer beat his Pablo Carreno Busta 6-4, 6-4 for a place in the Western & Southern Open quarter-finals. The 2015 Cincinnati finalist, will next face Dominic Thiem, who defeated Adrian Mannarino 7-6 7-6. Ferrer and Carreno Busta both struggled for consistency in the early exchanges. 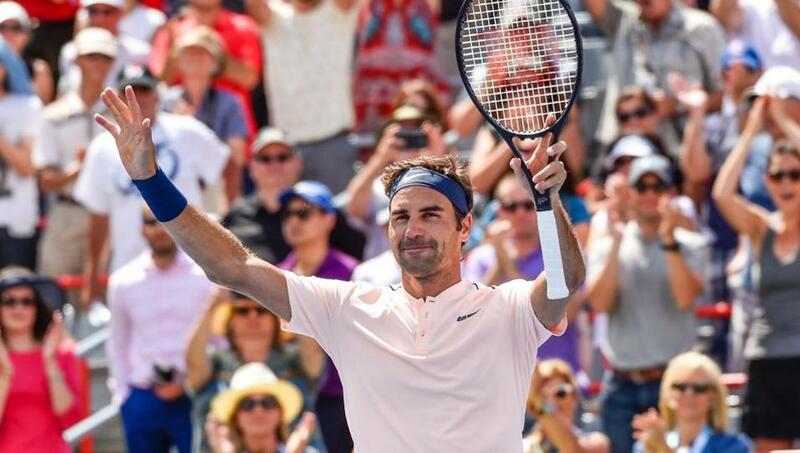 Roger Federer defeated David Ferrer 4-6, 6-4, 6-2 to advance to the quarter-finals of the ATP Montreal Masters. Federer had never lost in 16 previous meetings with Ferrer, who he first defeated 14 years ago at the Vienna Indoor tournament. The Spaniard surprised by winning the opening set but the Swiss ace raised his game to win .